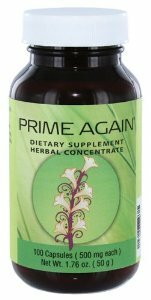 Prime Again is designed to work in harmony with hormone- producing glands and the organs they support. Health & Weight Loss with Suntrim Plus! I first learned about Sunrider 26 years ago from Glenda Feilen. I was in my fourth pregnancy and was total health nut ( I sprouted my grains, juice my fruits and vegetables, supplemented my diet with lots of vitamins, minerals, and herbs, and I didn’t eat sugar)- but was still very sick. I had “hit a wall” with my health regimen. I had three other children to care for and could barely function. I first ate Prime Again, Nuplus, Calli, and Sunectar. WoW! I was back to normal in two weeks, eating these Sunrider products faithfully at least three times a day. The real benefit was yet to come, though. After giving birth to a healthy baby girl, I experienced absolutely no postpartum depression- a total first for me! What a blessing! I’ve been an IBO for 20 Years, sharing Sunrider quite successfully. But during menopause, (starting ten years ago) I slowly put on weight, about a pound a year. At my current age of 60, I weighed 129 pounds, more then I’ve ever weight before in my adult life, and it made me very uncomfortable. At the height of 5’2″ it was “normal” range, but it certainly was not ideal. I had tried more exercise and limiting food intake, but nothing touched the stubborn menopause fat. I’d heard about SunTrim Plus from SR Newsletters and personal stories featured online, so I decided to try it. A week ago, I was pleased to see I’m at 125 pounds! My energy level is excellent, my clothes fit better, and, most importantly, I’m encouraged that my body is getting back to normal. I currently eat VitaShake, Quinary, Bella, Calli, Fortune Delight, Sunectar, and SunBars, and I recommend taking SunTrim Plus 30 minutes before any table food-that’s when I had the best results. I’ve come to realize that age gradually slows down one’s ability to burn fat, so it’s more important then ever to rely on Sunrider basic foods for nutrition. I’ve also become more vigilant about reading ingredient labels, especially limiting fat grams and refined sugar. It pays to be educated so you can make better food choices. I’ve been a post-polio crutch-using avid walker and exercise enthusiast my whole adult life, and Sunrider as been the basis of my muscle and bone-restoring success, but that’s another story…. Be the first to review “PRIME AGAIN” Click here to cancel reply.